The popularity of inexpensive development boards has exploded in the last few years. The BeagleBone Black and Arduino UNO are two examples of low cost, versatile development platforms that both weekend tinkerers and professional embedded engineers alike have begun to embrace for their potential in creating a huge array of innovative devices and appliances. Because each board has its own strengths, many users have been experimenting with writing and executing programs on both. But what if you’d like to utilize the BeagleBone Black for your program development, before implementing your code on the Arduino board? 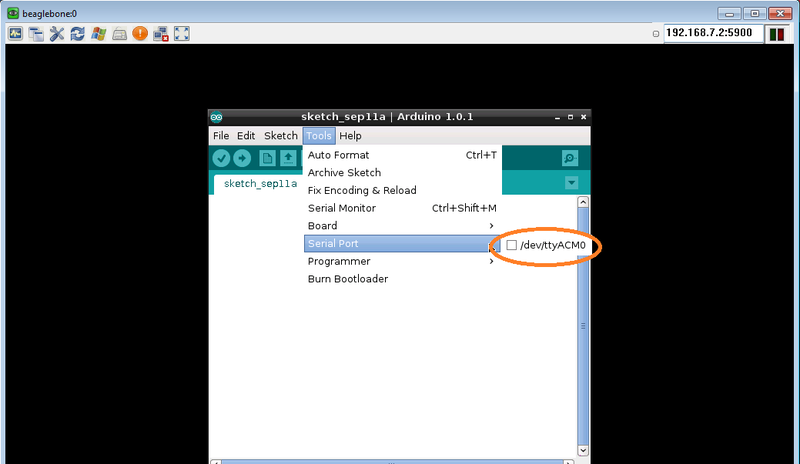 In our latest Inspire tutorial we walk through the steps to enable you to run the Arduino IDE (Integrated Development Environment) on the BeagleBone Black. The programs you create through the Arduino IDE run on your Arduino board (not the BeagleBone). 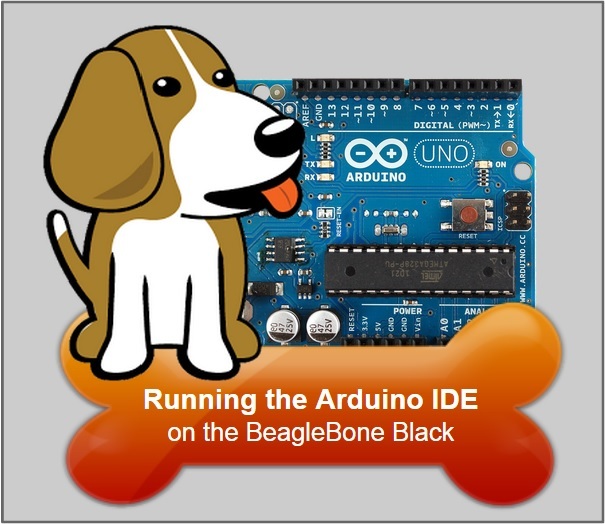 This tutorial will allow you to use the BeagleBone to run the Arduino software, enabling you to develop your Arduino programs as you would on a PC or laptop. 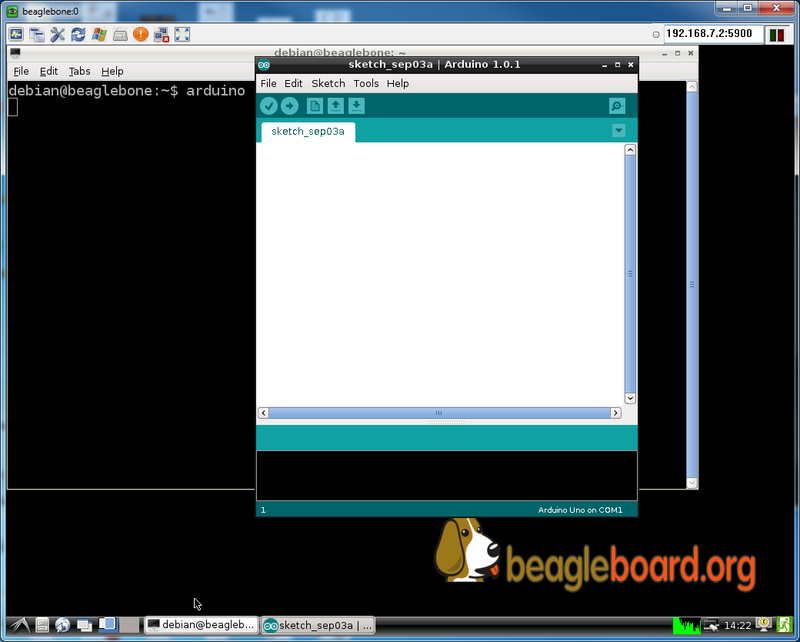 You can start the Arduino IDE from the BeagleBone Desktop. You must have a monitor and keyboard attached or VNC into the BeagleBone to see the graphical desktop. You can also just type arduino (at the Debian Desktop terminal). Once you have the Arduino plugged-in and have powered up the BeagleBone, you should be able to see it loaded as a USB device. You can now select the port to download to your Arduino program. You can use one of the supplied examples to check out your new connections. Complile the program using the (check) icon. 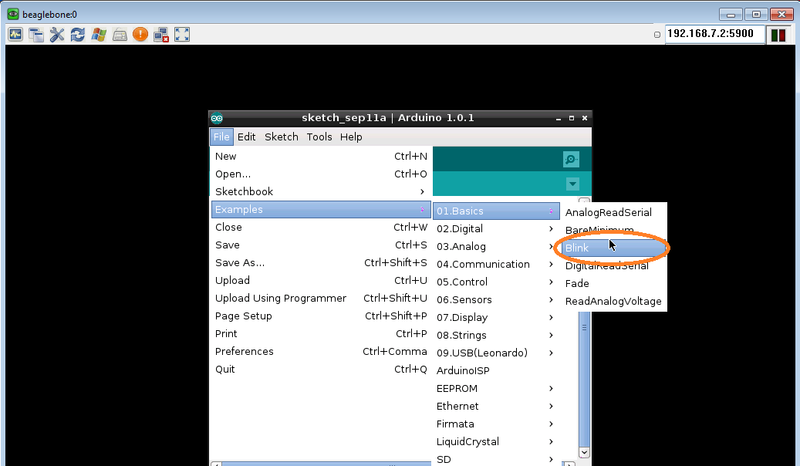 Transfer the program to your Arduino using the (right pointing) icon. Your program is downloading to the Arduino and will start shortly. What Good is a Rugged NVR? What is Windows Embedded, and Why Does it Matter Now?